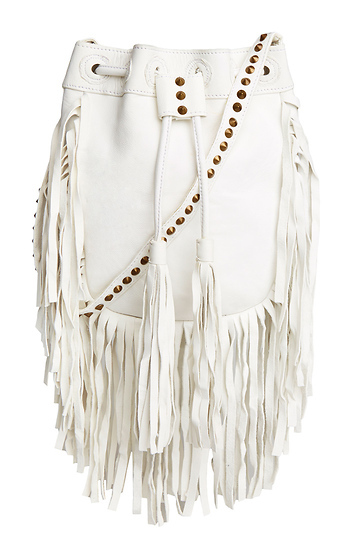 Fringe with benefits is this Cheyenne bucket bag from Cleobella. Features a leather exterior, a fringe trim, brass studs on the shoulder strap, fringe tassels on drawstring closure, and one interior zippered pocket. Fully lined.